Party Bus Cincinnati customers know that they can rely on our limo buses for all types of events in the Cincinnati area and beyond in the counties of Hamilton, Butler, Warren, and Clermont. You’re most likely here because you’re in the process of planning a big event of your own, and you understand the need to obtain high quality transportation that is also incredibly fun and unbelievably safe. Give Party Bus Cincinnati a call at 513-428-1108 anytime to talk to us about renting our services, which include professional chauffeurs and super-fun perks for all your most exciting Cincinnati events! 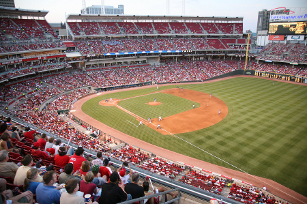 Find out more about Party Bus Cincinnati and Cincinnati Sporting Events! Ready, set, bet! You don’t have to go to Atlantic City or Vegas to enjoy the thrills of gambling; you can do it right here in Cincinnati at the Keenland Horse Track or the Horseshoe Casino. Take your whole clan to the races (or the slot machines) at once and enjoy every moment worry-free by letting us take care of your transportation needs. 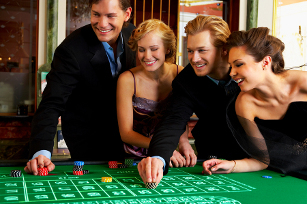 Find out more about Party Bus Cincinnati and Cincinnati Casino Trips! You have enough pre-wedding jitters without having to also worry about the perfect transportation for all your wedding-related events such as bachelor and bachelorette parties, wedding showers, and of course the transportation for the big day itself, the wedding ceremony and reception! Let Party Bus Cincinnati take those transportation worries away so that you can put your focus fully on all the other exciting aspects of your upcoming union! Find out more about Party Bus Cincinnati and Cincinnati Weddings! When most people hear the phrase “party bus,” they think of adult events like pub crawls, wedding ceremonies, and bachelorette parties. But what you may not realize is that our safe and fun transportation is also ideal for all kinds of kid and teen events such as birthday parties, sweet sixteen parties, and teen proms. Graduation parties are also a big draw for us, and we serve plenty of baby showers as well! Find out more about Party Bus Cincinnati and Cincinnati Birthdays! There are so many tantalizing bars and clubs in the Cincinnati area, and if you really want to go all out and enjoy an evening of club hopping, there is no better way to do it than in a limo bus from Party Bus Cincinnati! We suggest giving these hot bars and clubs a try: Igby’s, Lunar, Mixultra Lounge, Mynt, FB’s, Pulse, Righteous Room, Whiskey Bar, Neons, Mt. Adams, Holy Grail, Christian Morlein House, Yard House, Tin Roof, Mahogany’s, Crave, Jefferson Hall, Toro, Arnies, Blind Lemon, Northside Tavern, Ludlow Bromley Yaht Club and Molly Malone’s Irish Pub & Restaurant… or just close your eyes and point to any Cincinnati bar on Yelp or Google, and you are sure to find a gem. We can’t wait to take you there. 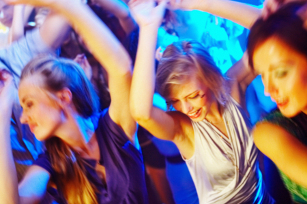 Find out more about Party Bus Cincinnati and Cincinnati Nightlife! But by no means should you feel limited to the events listed above! We have served all manner of outings from the mildest to the wildest, so whatever you have planned, just get in touch and let us make the perfect transportation happen for you! When you feel you’re ready to get on the phone or reach out to us via email to have a conversation about your upcoming events, you can do so at 513-428-1108 or info@partybuscincinnati.com.